I do not have a scientific mind, but I do enjoy conducting experiments of one on myself, especially when it comes to my eating. When I reached my highest weight and decided to change my lifestyle, I didn't jump on any diet bandwagon or do a complete overhaul. Instead, I started experimenting with small changes here and there. I stopped drinking soda with my lunch, I gave up meat for a while, I started cooking at home for one or two meals a week that I otherwise would have eaten out. I paid attention to how my body felt, maintained those habits that were working for me, and kept experimenting with those that weren't. Eight years after starting this journey, I am 90 pounds lighter but am still struggling to figure out what works for me. 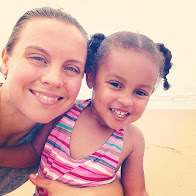 My Celiac diagnosis, having a baby, and the normal slowing of my metabolism as I get older have changed how my body responds food and exercise. I'm at my pre-baby weight, but have noticed the number on the scale starting to creep up. I feel like I am straining more than I should be when it comes to my long runs and tough workouts. I cycle between feeling overly full and desperately hungry. Rather than keeping on with the same behaviors and hoping for different results, I've decided to go back to the drawing board. I am a big believer in small, incremental changes and their power to add up to big results. Here are a few of the changes I have implemented in the last few months, and the impact they seem to be having so far. Pre-change: I used to get up between 5:30 and 6:00, run, get to work, and not eat breakfast until 8:30 or so. I never feel like I need to eat in the morning, and sometimes I wasn't even hungry by the time breakfast rolled around. Its occurred to me lately that this might be a problem - lacking that hungry feeling could be a sign of a slow metabolism, plus its probably not doing my morning workouts any favors. 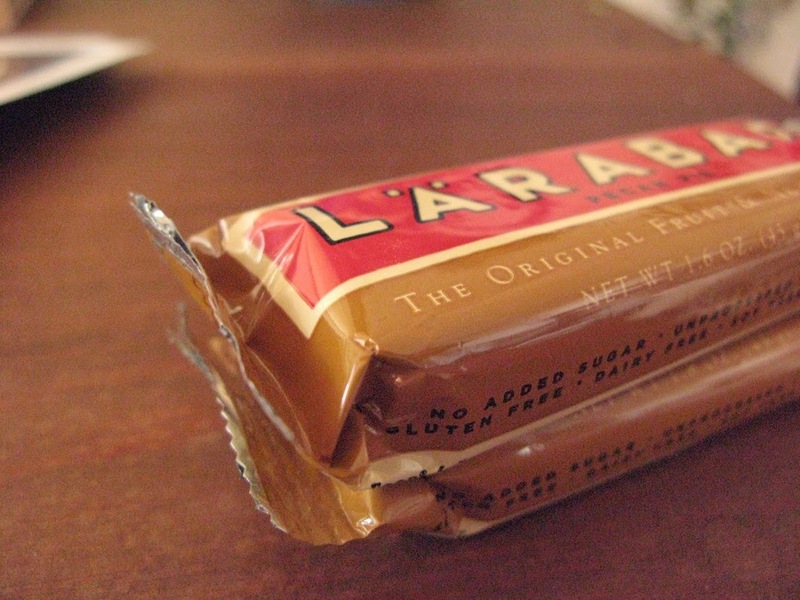 Post-change: Now I grab something that is more-or-less 100 calories - a small handful of nuts, half of a Larabar, or a small banana - and eat it as soon as I roll out of bed. The result? I can literally feel my body kick into gear once I've eaten something, and now I am ravenous by the time breakfast rolls around. I hope this means my metabolism is functioning properly and I'm making use of the fuel I am putting in my body. I can definitely feel the difference in energy on my runs. Pre-change: I have never been a snacker. I like big, substantial meals that give me that feeling of fullness (sometime overfullness), and so would eat three big meals per day: a breakfast sandwich around 8:30, a fairly large lunch around 11:30-12, some fruit or a protein bar in the afternoon, and a big dinner. 12pm - small lunch (less than 300 calories, vegetables and some chicken or a veggie burger with a tiny bit of salad dressing). That's around 1,200 calories consumed during the day which, considering I burn between 200-600 calories a day during my workout, is a healthy range for me. The result? I no longer have a slump of energy in the afternoon. I don't feel like I desperately want a nap, need a cup of coffee to finish the day (though I still love my decaf), or can't focus on what's in front of me. I credit this to more stable blood sugar levels resulting from constantly taking in food. Pre-change: We eat early, around 6pm. I used to be extremely hungry by the time dinner rolled around (thanks to my early lunch and minimal snacking) so I would overeat. Since I didn't go to sleep until 3-4 hours later, I'd be hungry and want to eat again before bed. Besides, that meant between 6:30pm and 8:30am I wasn't eating anything - that's 14 straight hours! Post-change: For the last couple of weeks I've been dividing my dinners - I'll eat a small portion on a salad plate and go back for seconds, but instead of heading back to the table, I put my second helping in the fridge and go back for it around 8pm. I have an easier time controlling my first portion if I know I get to eat more later. The result? I am not overeating at dinner any more. I haven't measured, but I'm almost certain that I am eating less spaced between two meals than I was eating in one giant meal before. I feel less sluggish in the evenings due to my belly not overflowing. Pre-change: I would tell myself I don't need dessert, would refuse to buy any dessert options to keep in the apartment, and then would have a mad craving in the late afternoon/evening and end up making myself a single-serving muffin, hot chocolate, or heading out to buy something. Post-change: I have decided that, for me, dessert is not optional. 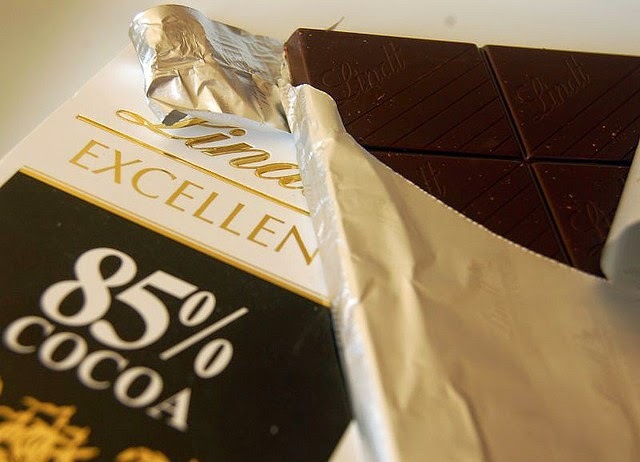 I am unapologetically addicted to chocolate, and have decided that striving for moderation instead of elimination is much more realistic for me. I've started buying dark chocolate with 80% cacao or higher, and eating 2 generous squares every night after dinner. The result? It totally kills my craving for sweets, and I get the mental satisfaction of feeling like I've indulged every day. The decision to make some simple, small changes instead of a total diet overhaul was a good one. I feel empowered, like I'm doing something good for myself, but without feeling overwhelmed or deprived. Plus, I'm eating more often! Who doesn't want that, am I right? What have you done lately to get healthy or change up your habits?